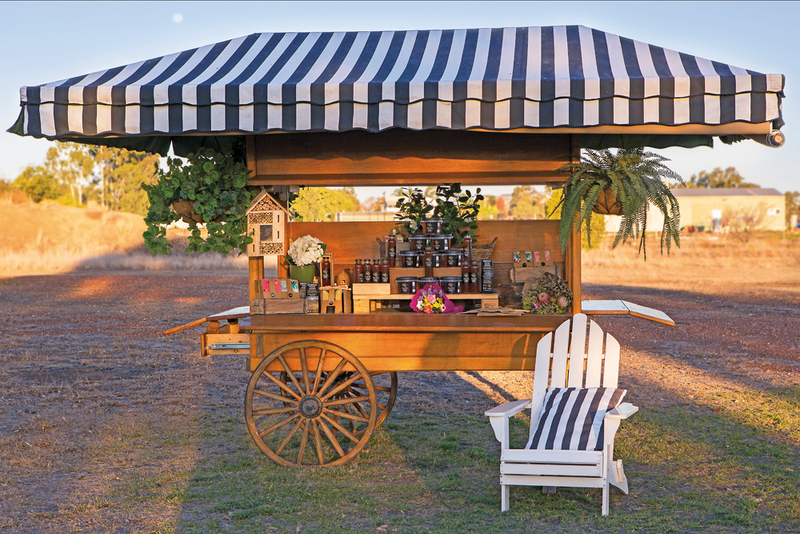 “If it’s going to bee, it’s up to me.” The garden on the outskirts of Dalby is abuzz with bees happily flitting from bloom to bloom on the fiery red bottlebrush, their tiny legs laden with golden pollen. 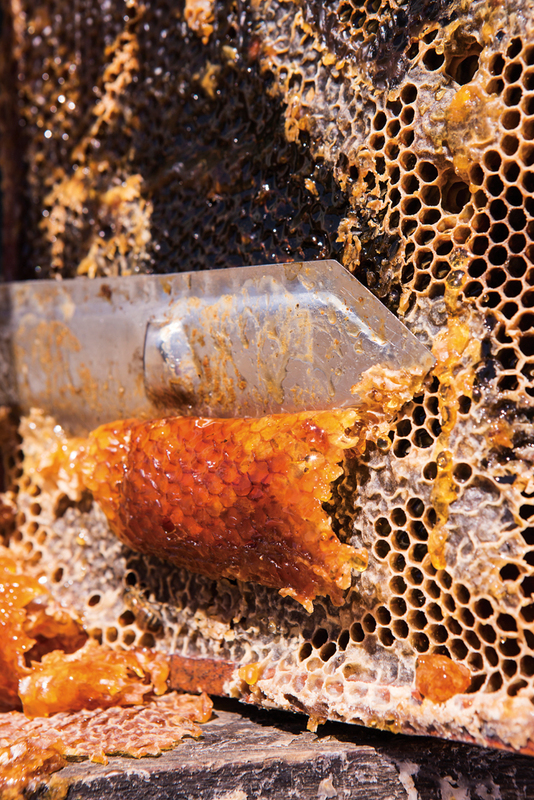 Like the bees she is learning to care for, Alison Harris and her family have flitted from one small Queensland community to the next, dependent only on where husband Don’s next job may take them. 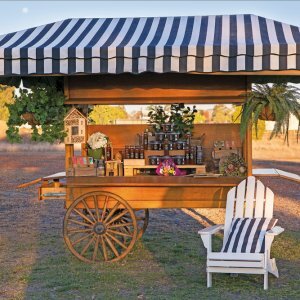 Strong believers in keeping the family unit together, they moved from their Bribie Island home to Dalby seven years ago, dismissing a drive-in drive-out lifestyle as untenable. Alison has adapted to each of the rural communities in which they have lived, including Thursday Island and Longreach, often providing learn to swim classes. 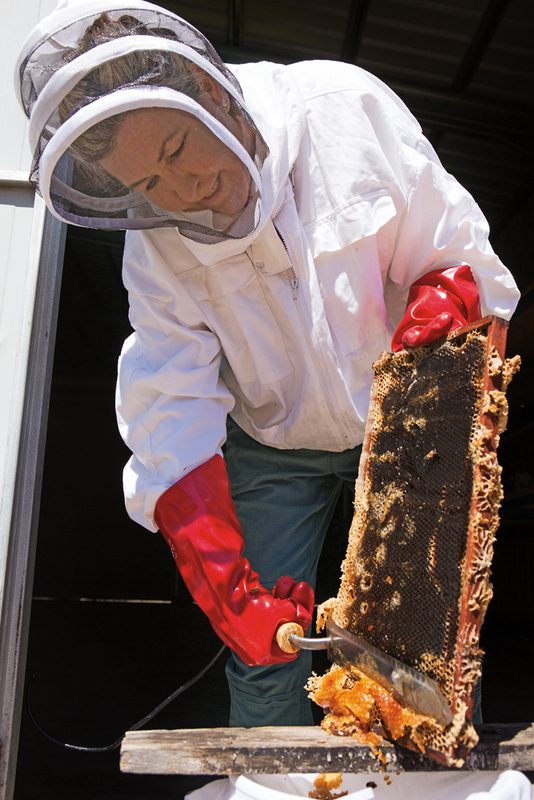 In Dalby, it was time for a change, and a chance meeting with a local apiarist turned Alison’s attention to bees. 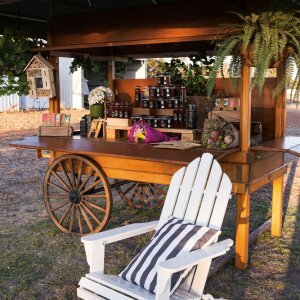 Learning the craft of beekeeping through Dalby’s Beekeeping Club workshops, and with a spacious backyard to set up a few hives beside the citrus orchard, Alison developed a passion for this often overlooked craft. 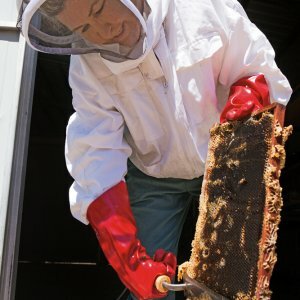 Donning the “elegant” white meshed headwear of a beekeeper and covering her body from head to toe to avoid being stung, Alison infuses smoke to mask the bees’ defence system while removing frames full of capped honeycomb. 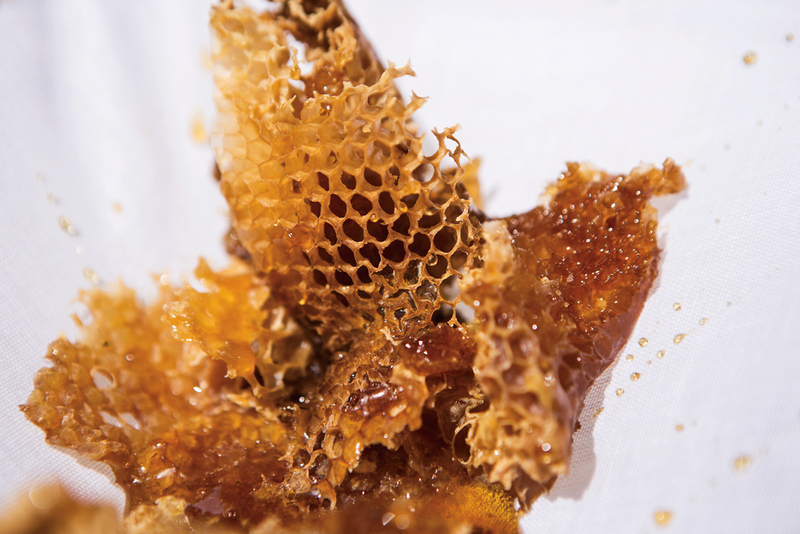 As the honeycomb is de-capped, the golden flowing liquid is caught in muslin and then filtered twice before bottling. 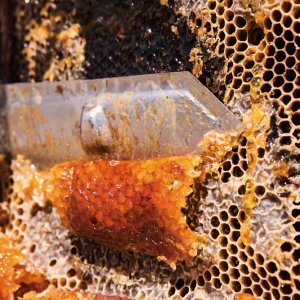 The honey extraction process sounds simple enough but this is, quite literally, a very sticky and time consuming business. 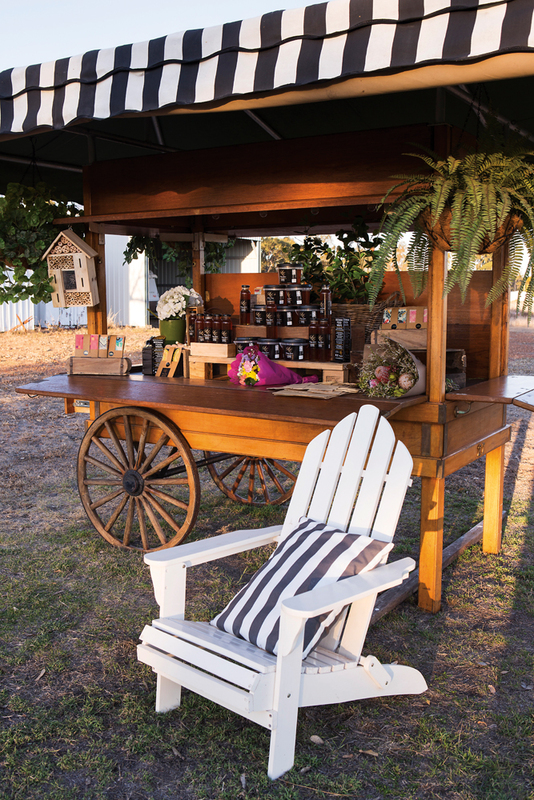 Having always delighted in the paddock to plate concept, the first pot of honey produced from their hives was exhilarating for Alison — a definite “wow” moment. 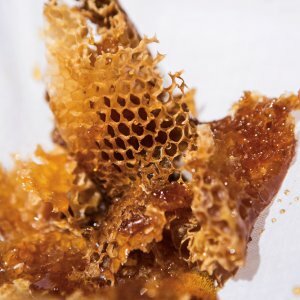 A pot of liquid gold, honey is a beautiful raw product that never spoils; it is a precious commodity full of antioxidants, yet so often it is presented in plastic. Alison uses glass. 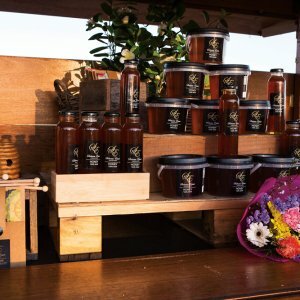 “I wanted my honey to be treated with the utmost respect and to present it as the quality product it is.” In a good season, up to 10 to 15 kilograms of honey can be extracted from just one hive in a three-month period. 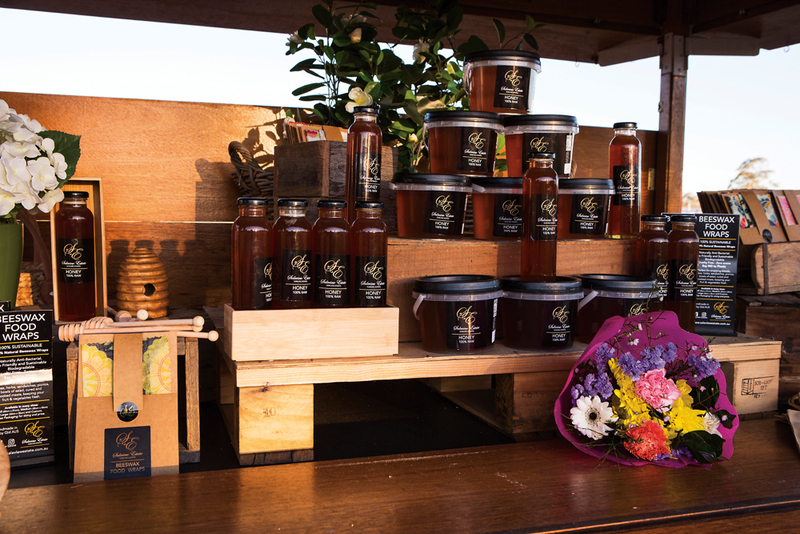 Soon realising there was too much honey for their personal use, Alison’s homegrown business, Saleview Estate, was born. Readers also enjoyed this story about Warwick smokehouse Bluebird Kitchen.